Yard Waste Removal That Is Quick & Easy! Yard waste removal is a generic term that involves cleaning up a lot of things, especially in spring. Household waste, garden waste, and regular junk are all included in yard waste disposal. Residential yard waste removal can be a huge hassle in Pasco, FL. You need to go through a chain of brokers who all charge a convenience fee for their services without providing any of the convenience. At Best Price Dumpster Rentals, we offer dumpster rental options that are instantly available and affordable. Call Best Price Dumpster Rentals at 8134377547 today and schedule your dumpster rental. We provide dumpster rentals at the lowest price. We help you get rid of your garbage and clear out your yard with zero hassles. Vast Choice of Yard Waste Dumpster Rentals – You can select your dumpster according to the size of your yard. No oily sales pitch to get you to buy something that you can’t use. Scheduled Delivery and Pickups – Get perfectly scheduled dumpster deliveries to your doorstep. When your trash bin is full, we will drive away with along with the garbage. No Hidden Costs – We believe that clear and transparent pricing can work wonders for any business. All said and done we like our clients to trust us with the work that we do. Nominal Charges – We believe that dumpster rentals are a necessity for every household and business in Pasco, FL. As such, we try our best to make our dumpster rental service and waste removal service affordable. 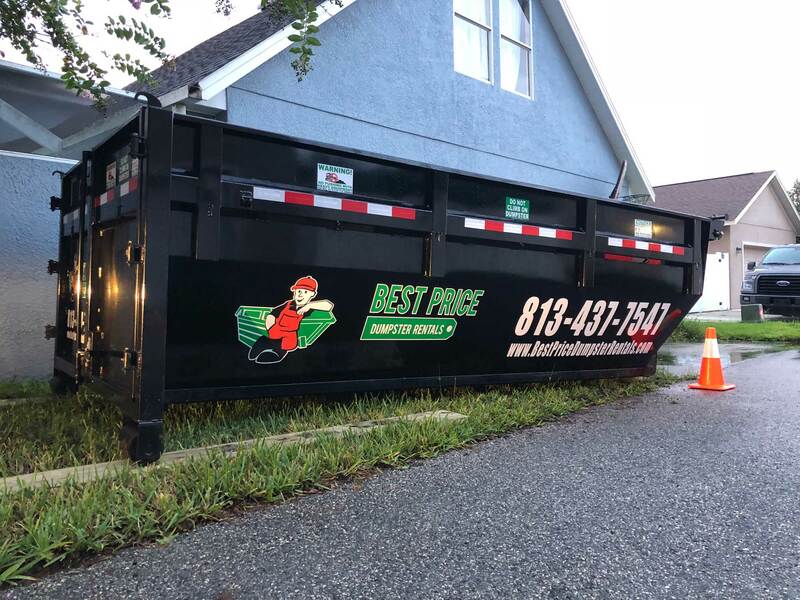 At Best Price Dumpster Rentals, we do everything we can to get the dumpster rental and garbage removal service in Pasco, FL at affordable prices. 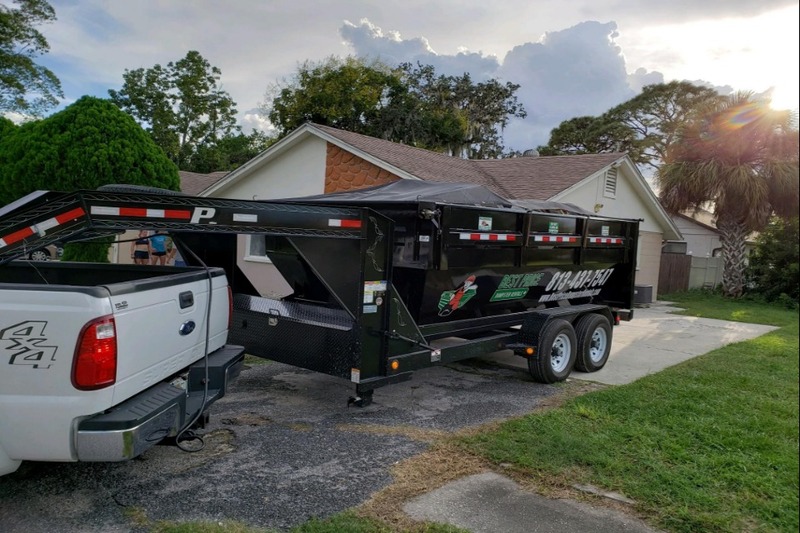 Our goal is to make our dumpsters available for everyone so that the people of Pasco, FL can get dedicated waste management services in a simple, pocket-friendly way. You need to consider a couple of things. A waste dump somewhere in the city of Pasco, FL is not a very comforting thought. It is a much better alternative to get a dumpster for rent rather than to lug your yard waste around the city. We get a lot of service requests for yard waste disposal. So, there is no need to worry – you are in safe hands. At BestPriceDumpsterRentals, we solve the rising need for trash removal services in Pasco, FL by providing the perfect dumpster for rent. Seeing as the rentals come directly from us, we know exactly what needs to be done. The only extras that we charge are for the extra weight of junk or an extended rental period of the dumpster. Our waste management company in Pasco, FL is widely known for the dedication we show all our clients in Pasco and nearby cities. 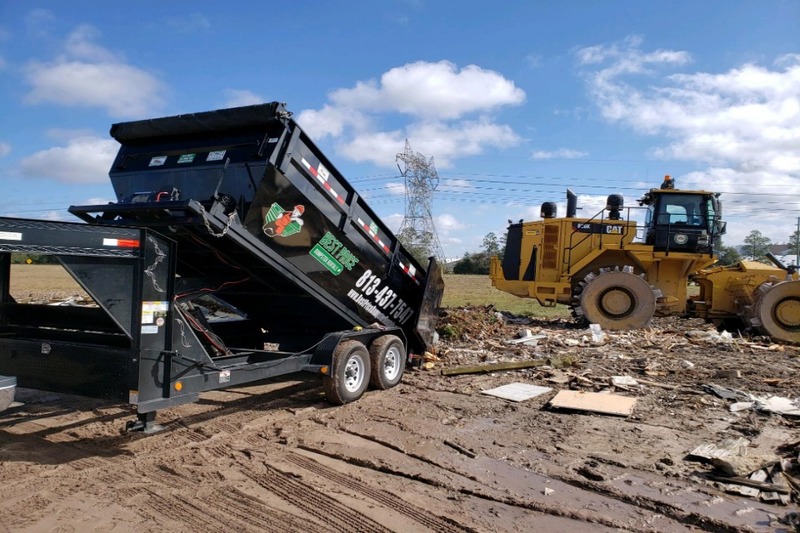 We serve commercial and residential requests equally and do our level best to provide the right waste management solutions for all our dumpster rental requests. Professionalism at Its Peak – We are some of the best in Pasco, FL by providing waste management solutions. 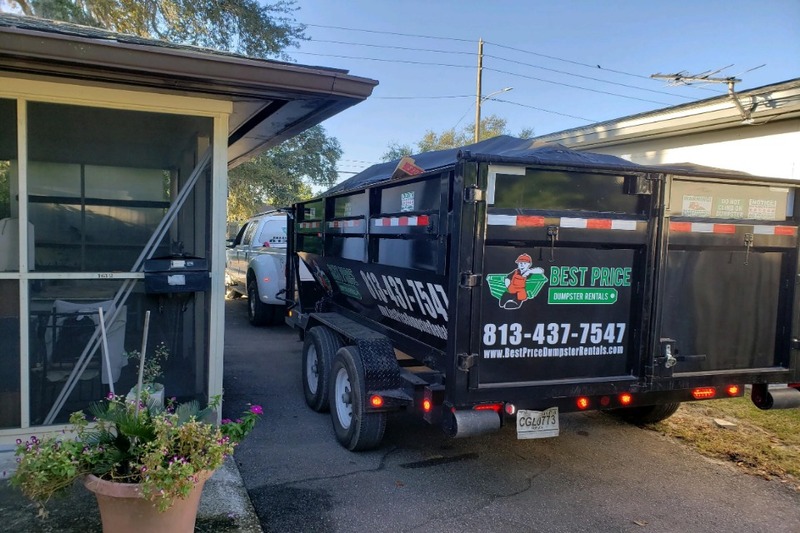 One of the reasons why some of our oldest customers in Pasco, FL trust us is because our professional service comes straight from seasoned veterans in the waste management industry. Extensive Network – Pasco, FL is only one of the places that we serve. Our waste dump rentals and garbage removal services are quite popular across Pasco. Our extensive network is entirely due to our happy clients who have responded to our stellar services with referrals. Affordable Pricing–Pricing often becomes an issue with dumpster rentals if you go through a chain of brokers. 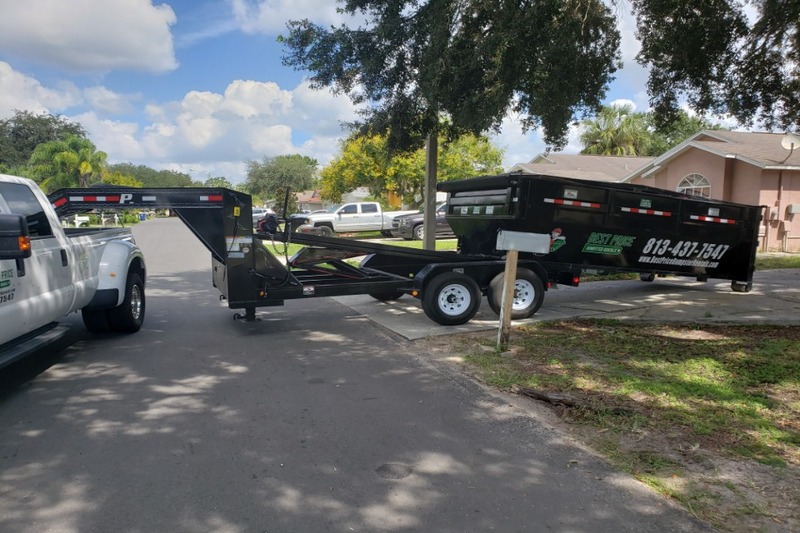 At Best Price Dumpster Rentals, we make it easy for everyone to afford our dumpster rentals by bringing the service directly to our customers in Pasco, FL. 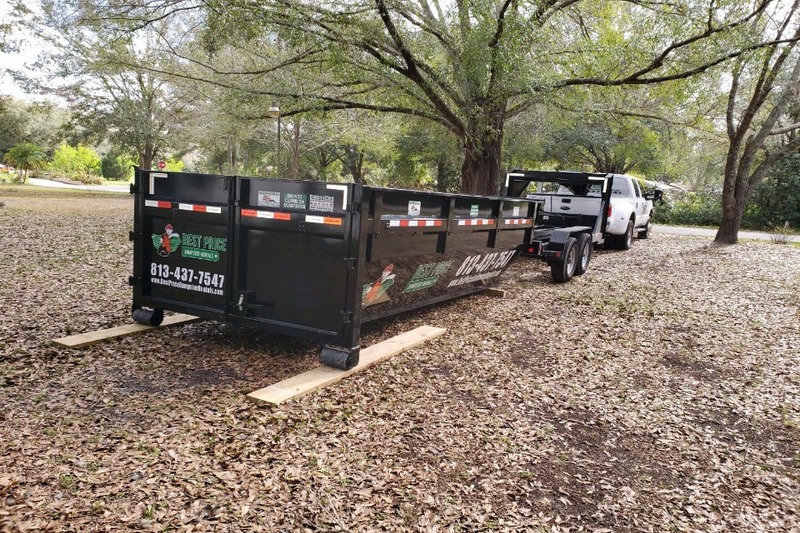 Get free quotes for your yard waste removal dumpster rental in Pasco, FL. Our garbage removal professionals will take the trash away with them when your dumpster is full. You have nothing to worry about. The entire service is managed, automated, and pre-scheduled. What is the cost of a yard waste removal dumpster in Pasco, FL? We have a large number of options with dumpster size. So, we have no fixed standard price for yard waste removal dumpsters. Contact our waste management experts in Pasco, FL for a detailed quotation. What happens when the yard waste disposal dumpster that I have rented is full? At Best Price Dumpster Rentals, we have everything scheduled ahead of time. A pickup driver will automatically clear out the dumpster as per your schedule. If you need a replacement dumpster, we can have that taken care of as well. How do I schedule my dumpster rentals ahead of time? You can call our waste management executives to get a free quote and schedule the yard waste disposal dumpster rentals. This way, we know exactly what to do and at what time. What do I do if the weight of garbage in my dumpster exceeds the limit? If you exceed the weight limit on your dumpster rental, we charge you a small fee on the extra weight of garbage. How do I find enough room for the dumpster rental? Our service executives will help you identify the best place to store the dumpster. Additionally, we will help you get the best fit for your situation. We will even advise you regarding any permits that you may need. Yard waste removal is one of the most in-demand services all through spring. If you need a dumpster rental and a garbage pickup in Pasco, FL, call Best Price Dumpster Rentals today. How Many Dumpsters Do You Need? Where do you want the dumpster delivered?